A care center network investigated, with assistance from Möbius, in which ways the current robot programmes could be optimized (from a cost point of view) and how joint robotic activities could be developed further. As a cornerstone of digital operating theaters, robotic surgery offers doctors, hospitals and patients improved (time) efficiency and better quality of care, including shorter hospitalization and a shorter ‘recovery’ for patients. Robotic surgery applications are on the rise in Belgian healthcare institutions: one in every three care centers now have access to one or more robotic surgery systems . Of course, investments in technology and infrastructure must always be balanced against their impact on quality of care. The creation of networks in the hospital sector provides an opportunity for consolidation and improved cost efficiency. One of these care center networks wanted to investigate, with assistance from Möbius, in which ways the current robot programmes could be optimized (from a cost point of view), and in which ways joint robotic activities could be developed further. We consolidated the above into a single result per procedure (both before, during and after the procedure (hospitalization times)). At the hospital network level, we facilitated the development of a common vision on robotic surgery: who plays which role within the network? What does a potential collaboration look like? 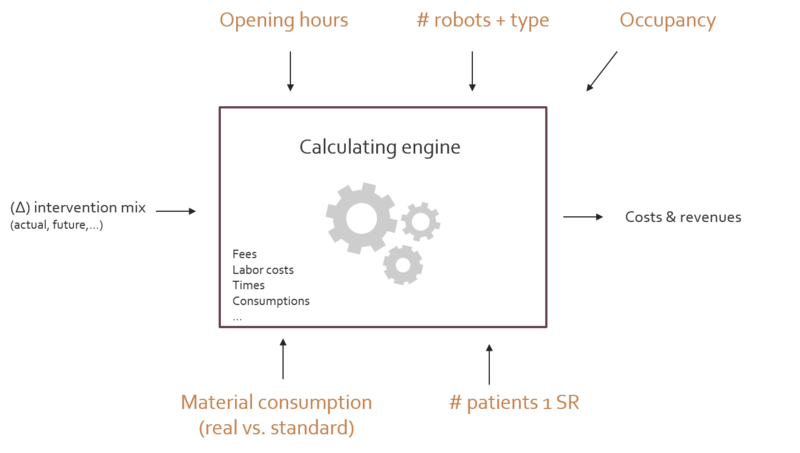 In the end, different operational models for robot programmes within hospital networks were developed and financially assessed. Based on this study, the involved care institutions obtained clear insights into the use, financial viability and profit drivers of their robotic surgery programme. In addition, we were able to create a financially supported vision for potential collaboration on robotic surgery in a hospital network. In order to achieve its strategic challenges, the hospital center CHR La Citadelle wants to implement a continuous improvement process in the institution.